Clean lines, curves and smooth surfaces create an understated look—Less becomes more. This exhibit features paintings, prints & drawings from the MMAA permanent collection of modernist works from 1940-1965. 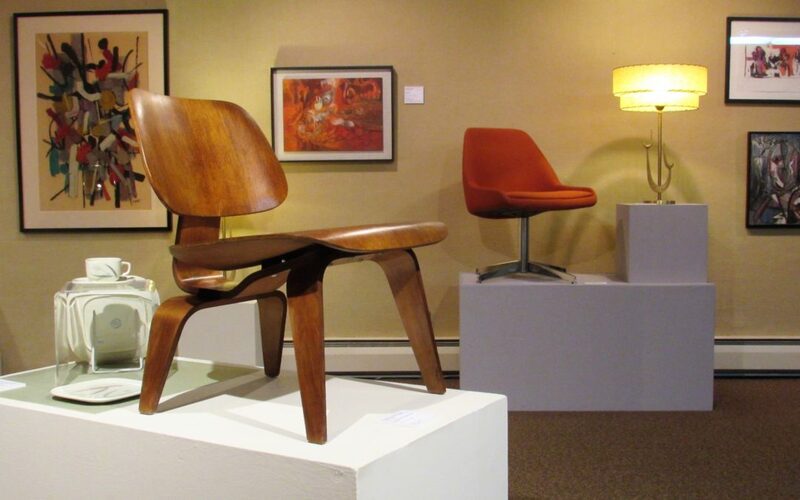 Included are Eames chairs, retro-lamps & objects borrowed from the FOUND Gallery, Goshen, and two pedal cars representing the industrial aesthetic of the period borrowed from David & Denise Sanders, Elkhart. This spotlight exhibition opens on January 12 and continues through May 25, 2019.